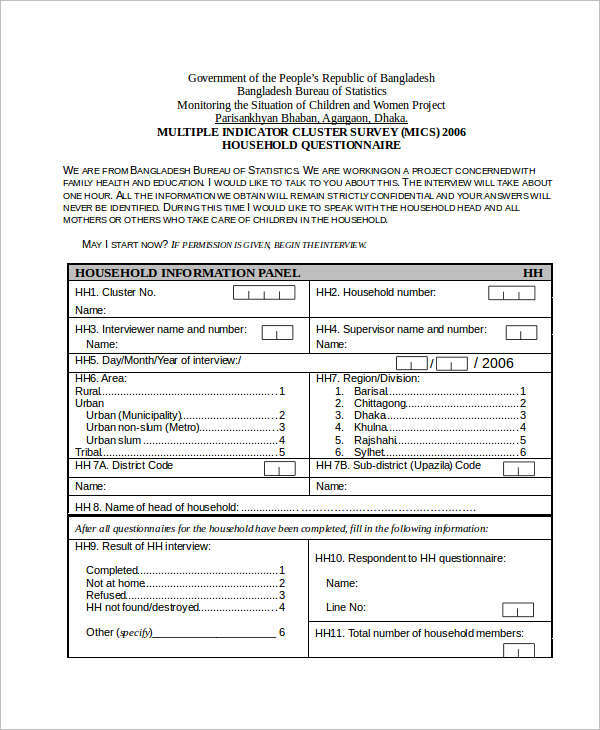 Acquiring data from a large population about different topics can be made easy through the use of a questionnaire. By the use of technology it has also been easy to give out questionnaires. Questionnaires could be of different types, such a survey questionnaire, health questionnaires, or a market research questionnaire. 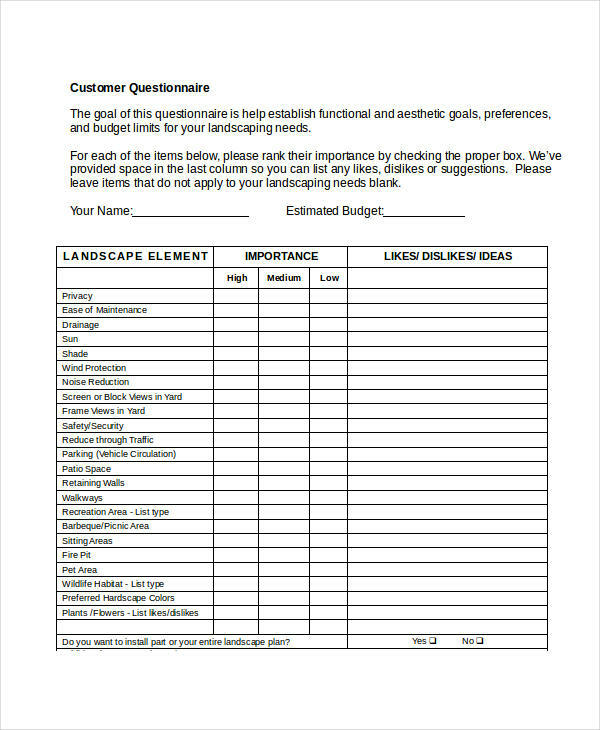 Developing a questionnaire might look tedious, but once a questionnaire is made it can be used for various purposes. 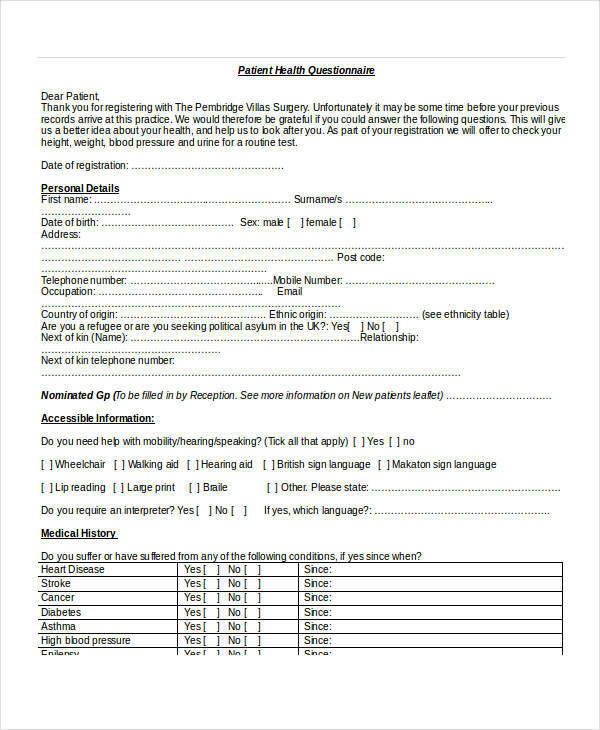 Questionnaires are not only applied in schools or research projects, but is also used in organizations like hospitals. 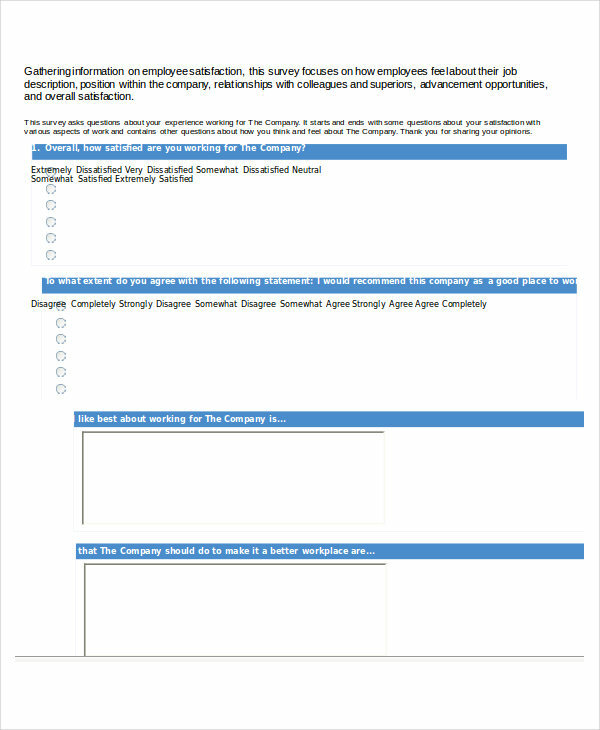 Questionnaires can also be used when organizations want to acquire feedback. A questionnaire is a set of questions written to acquire qualitative or quantitative data from specific respondents. The question made are given choices of answers, one being the best answer among the rest or only one answer considered as true. 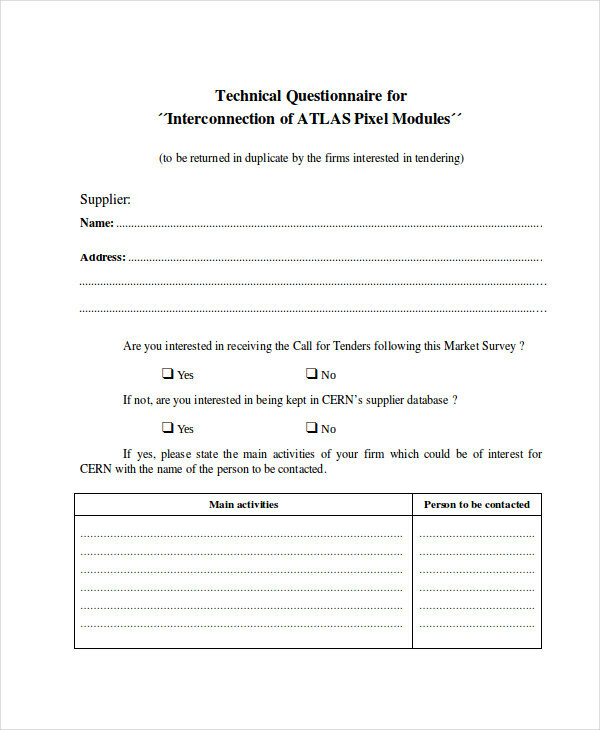 Questionnaires are usually used in surveys, exams, and in market research studies. 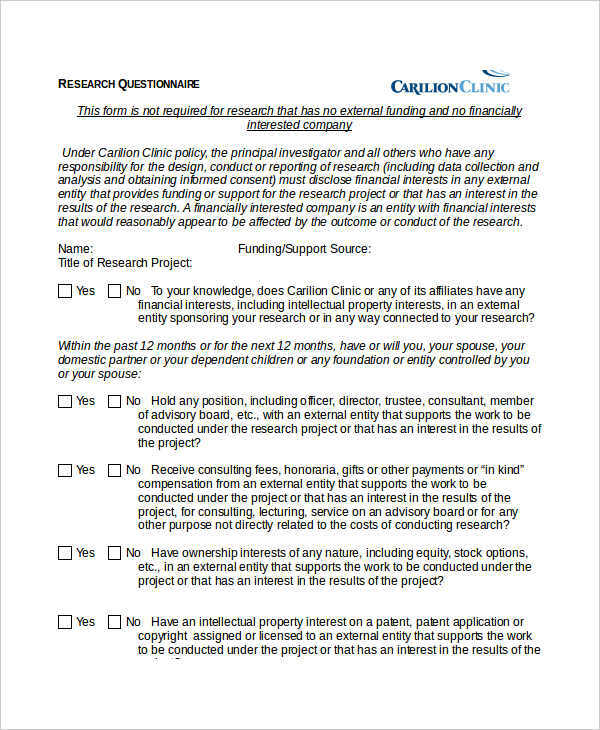 Questionnaires have been used as an instrument in a research study as this helps in gathering information that are factual and are useful in a specific research study. The main importance of a questionnaire is to acquire the most accurate result or information as possible. Questionnaires are designed according to how they are intended to be used and answered. 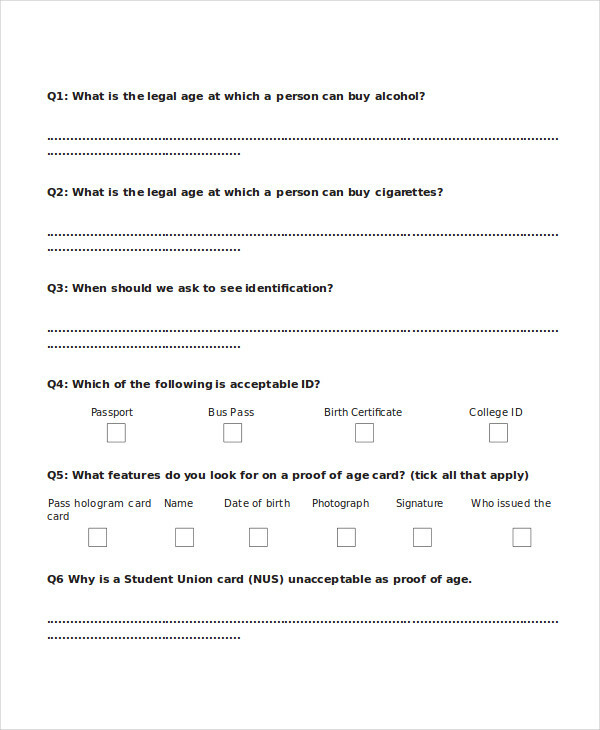 They can be an interview-type questionnaires or a rating-scale-style questionnaire. 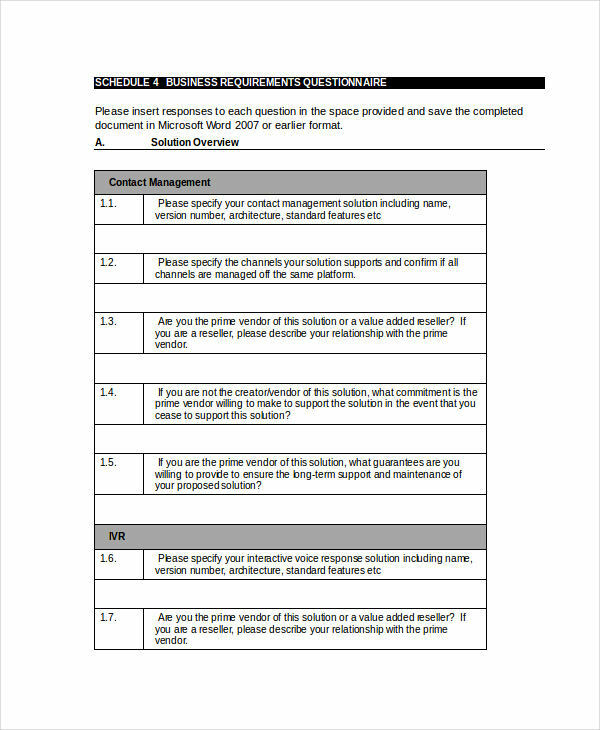 Whatever the outline of your questionnaire, be sure to hit all the right points for an effective questionnaire. 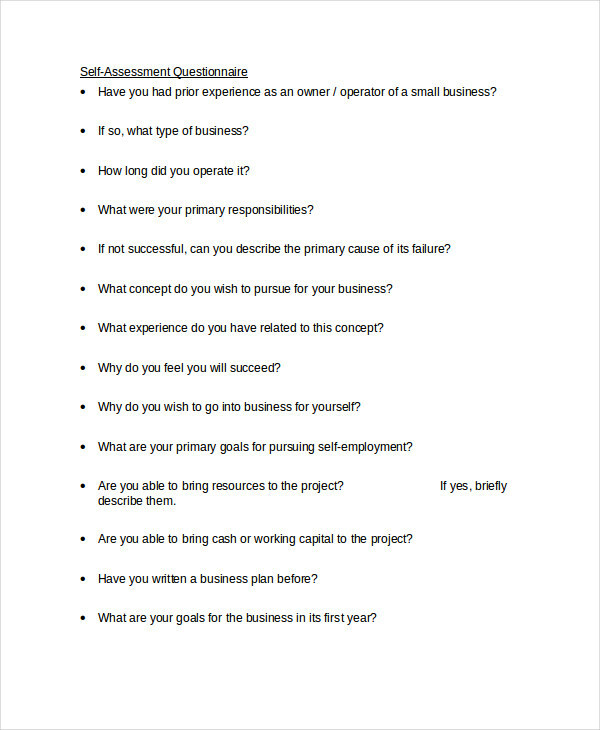 Meet the purpose or objective of the questionnaire. Make use of the most complete and accurate data or information as possible. 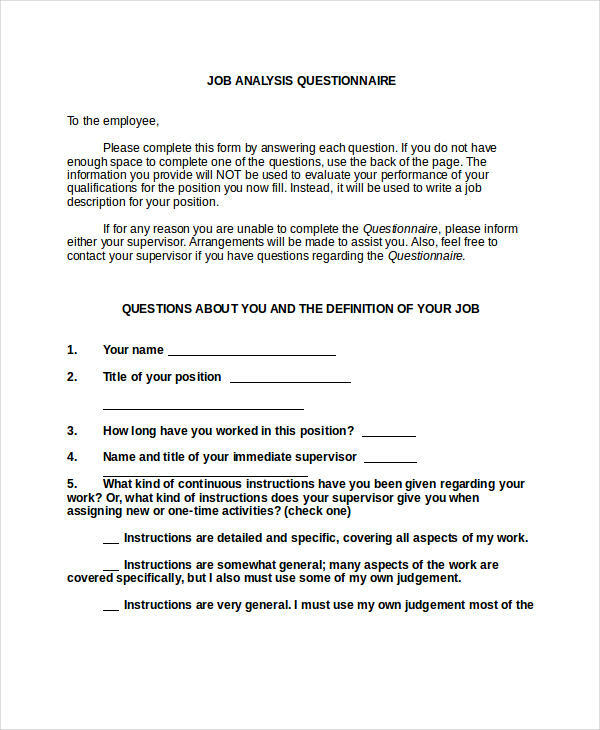 Format questionnaires to be simple and easy for respondents to understand and achieve answers that are accurate as possible. Make questions short and precise. 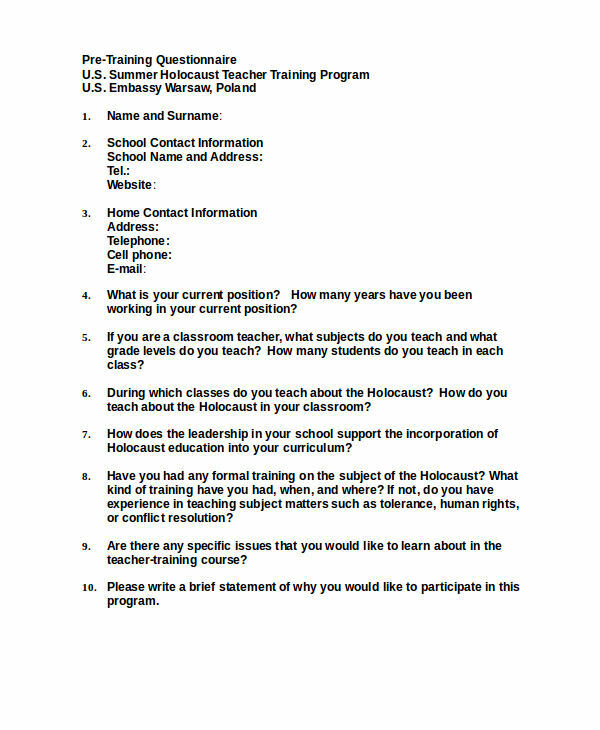 If you have noticed, most questionnaire templates are short except when questionnaires are for educational purposes. The reason why most people avoid answering questionnaires is because it takes so much of their time. Name the questionnaire. Having an attractive title would increase respondents’ interest in answering. Make it short. 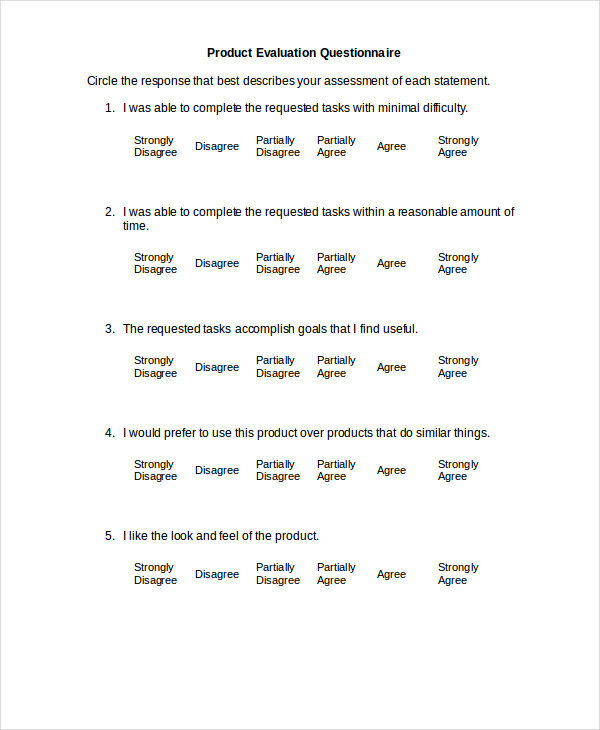 Questionnaires should be made as short as possible; include only questions that are essential. Keep it simple. The simpler the questions, the more you can assure that respondents had full understanding of the question, resulting in a more accurate answer. Avoid the use of difficult terms and concepts when creating questions. Keep it interesting. Dull questions will encourage respondents to answer without thinking. Respondents might even choose answers out of this feeling instead of based on knowledge. Keep choices short. Short questions should not mean that choices should be lengthy to make up for those short questions. Create close-ended questions. It is better to create questions that have specific answers rather than open-ended answers. It is easier to evaluate close-ended answers, and tends to be more accurate for its necessary conciseness. Keep it in order. Questions should be arranged in an organized manner to avoid confusing the respondents. As much as possible, the questions should relate with each other. Run a pre-test. 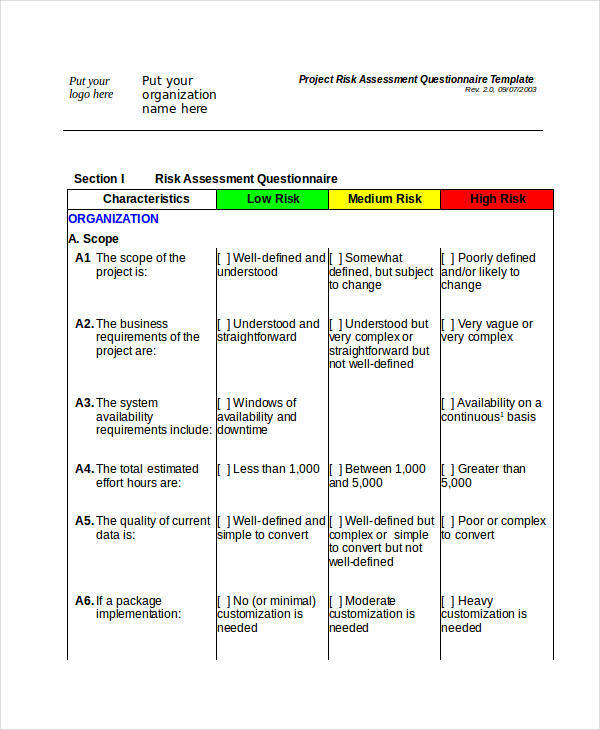 To check the effectiveness of the questions, it is always better to run a check on the questions and Prepare a questionnaire. 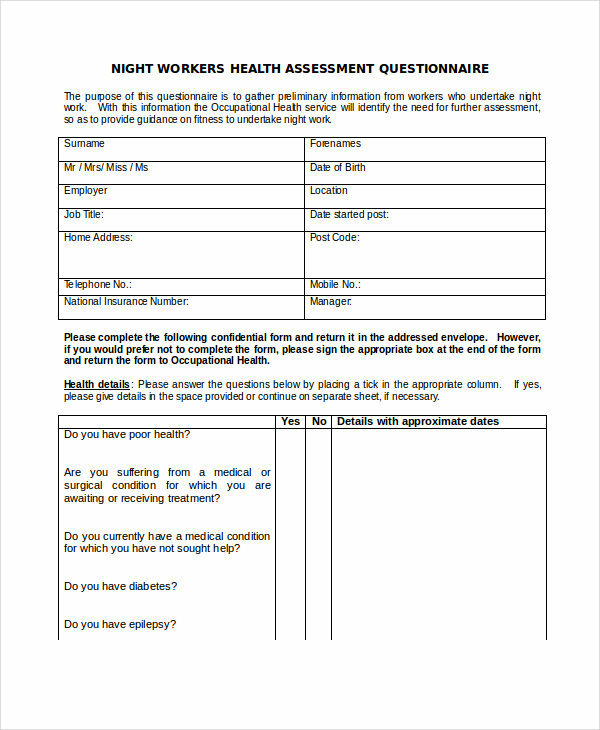 Pretesting the questionnaire and distributing it to the whole team for quality checking will help make the questions more relevant. Questionnaires are not only for the sake of asking questions and acquiring answers. Questionnaires exist to understand people’s beliefs, feelings, and perception. Generally speaking, questionnaires aim to acquire information that is relevant and useful. 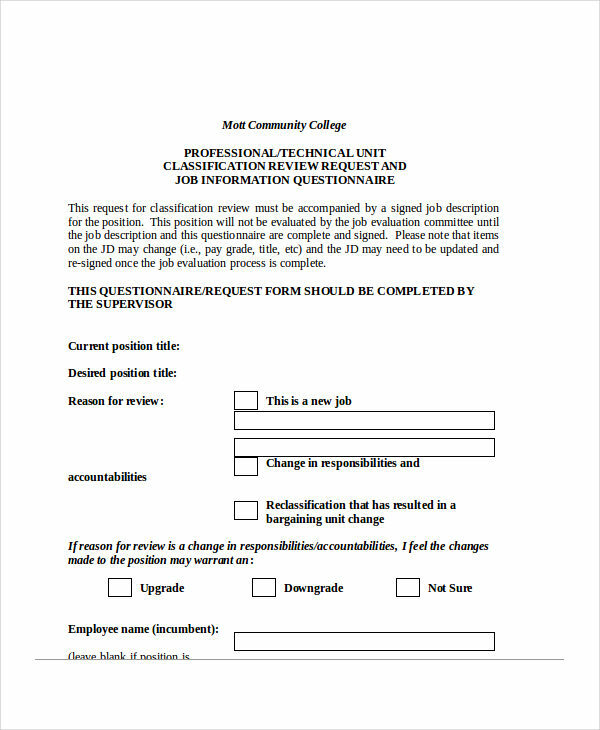 Questionnaires serve major roles in academe. One purpose of a questionnaire is for research studies on science or social studies. 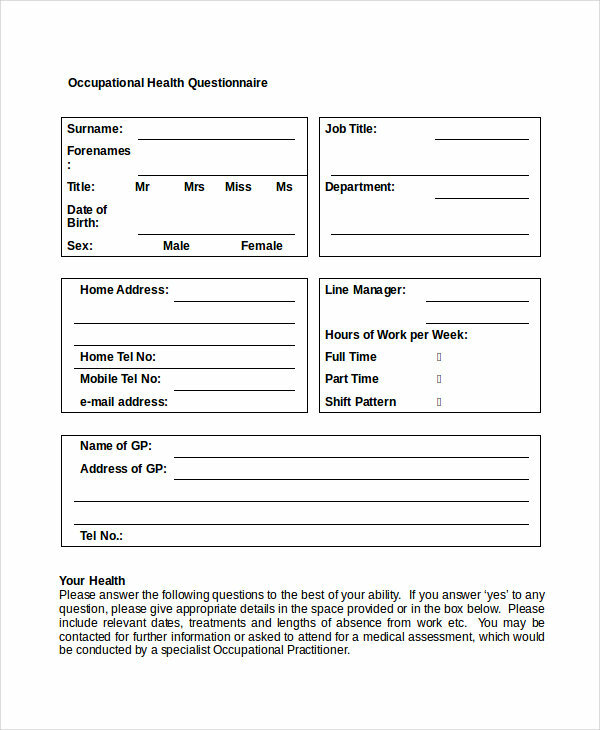 A questionnaire can also be used as statistical data needed for an analysis. 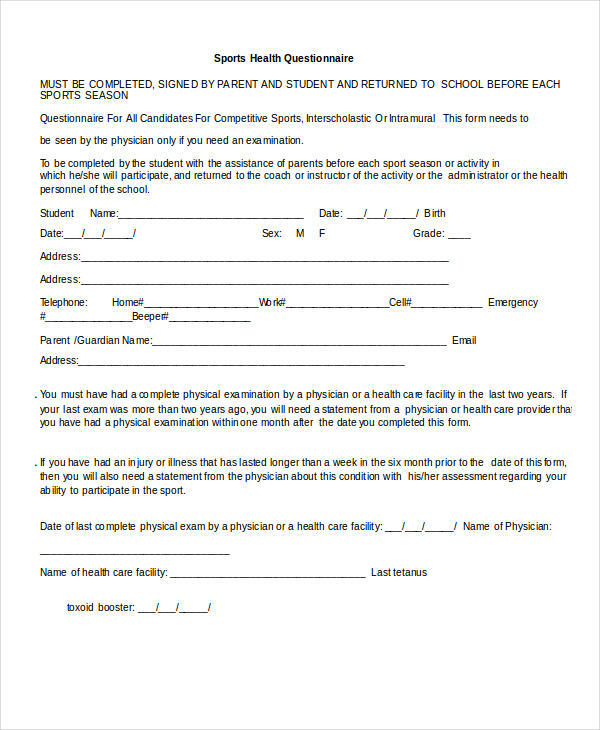 Professors or instructors use questionnaires during examinations as basis in evaluating students. 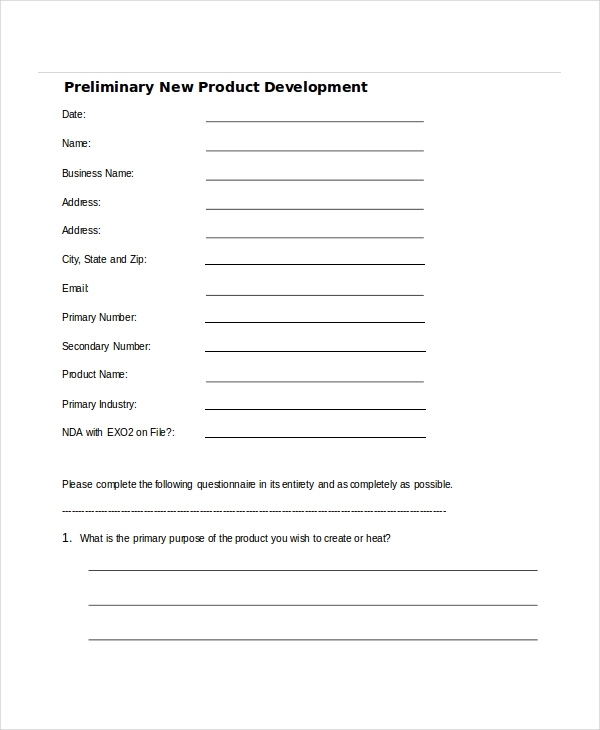 Depending on how you use it, questionnaires can help improve an organization’s systems, customer relations, as well as its products. 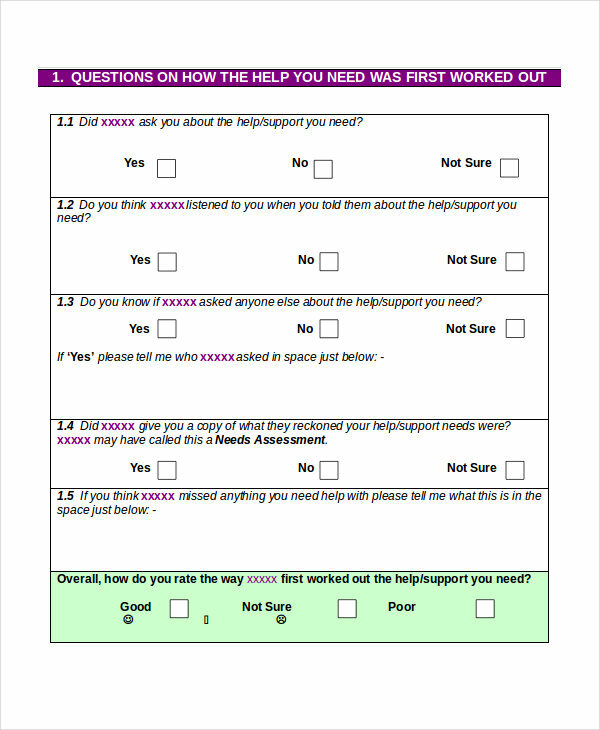 Knowing for what purpose a questionnaire may be can help us understand the importance of why they are used. Questionnaires have distinct importance in different fields. 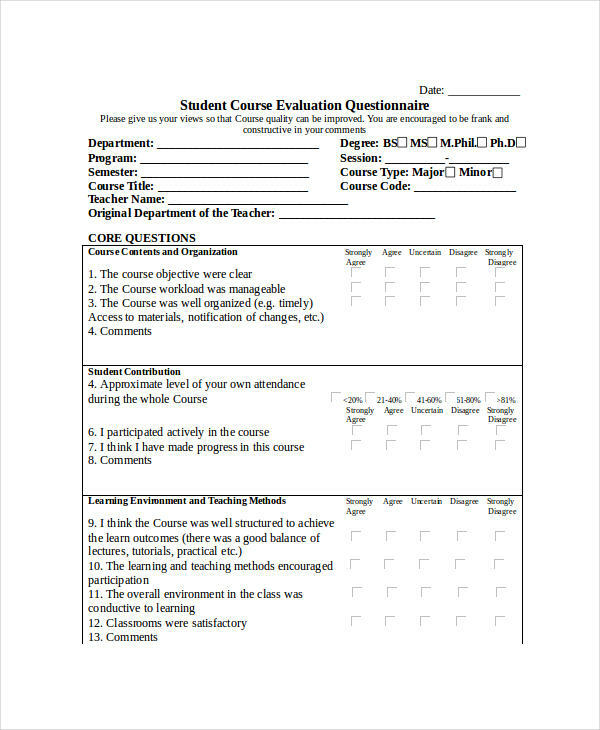 In the field of education, questionnaires are important for evaluating the learning experience of the students. In scientific studies with cases that involve large groups, questionnaires are important to make data collection easier. In the business world, questionnaires prove to be the source of how an organization can improve their products according to public demands. 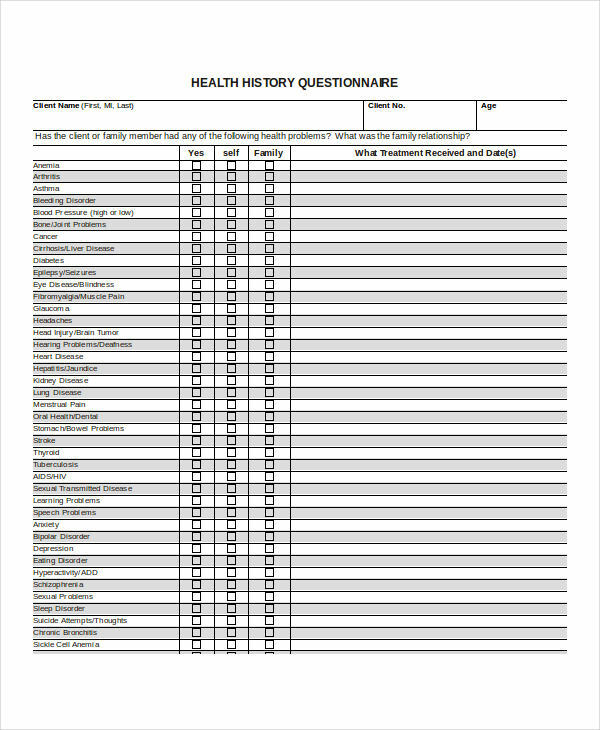 Health questionnaires that hospitals use advances staff in serving and giving people what they need. Questionnaires are useful when gathering data and information for the purpose of tracking learning experience, for improving an organization’s system, as well as in helping understand the people around us, among other things. Is it the best way to achieve these things? 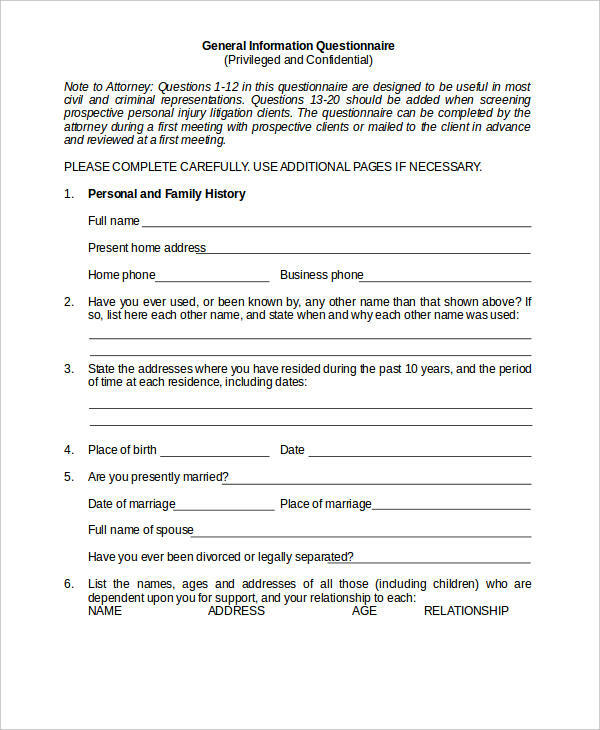 Questionnaires are popular choices for the following reasons. 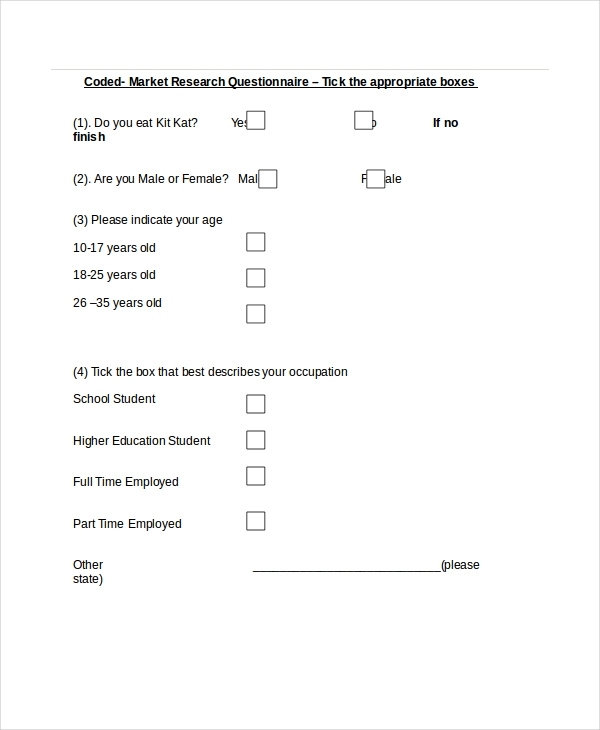 People who respond to survey questionnaires can freely think and respond to the questions without getting pressured as in face-to-face interviews. Answers will be more accurate, and biases are reduced. 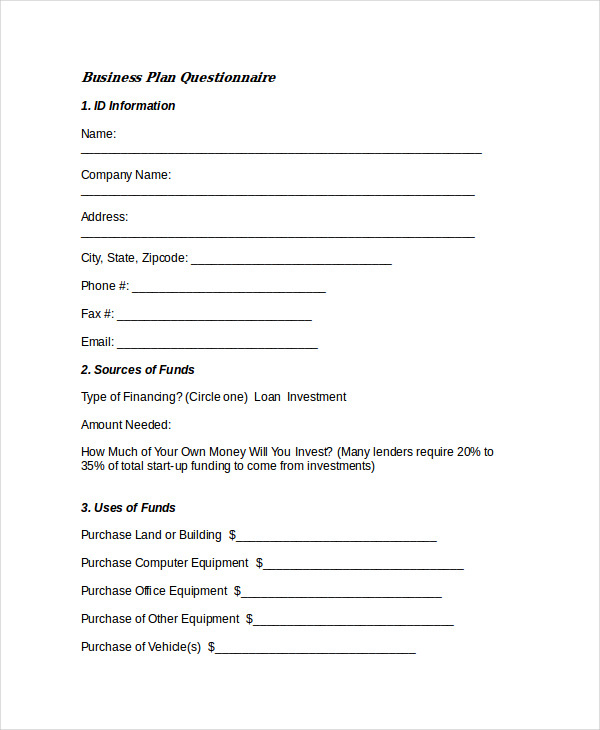 Questionnaires can be distributed to the respondents simultaneously to save time. Questions are and therefore the answers are highly standardized and are far easier to evaluate. 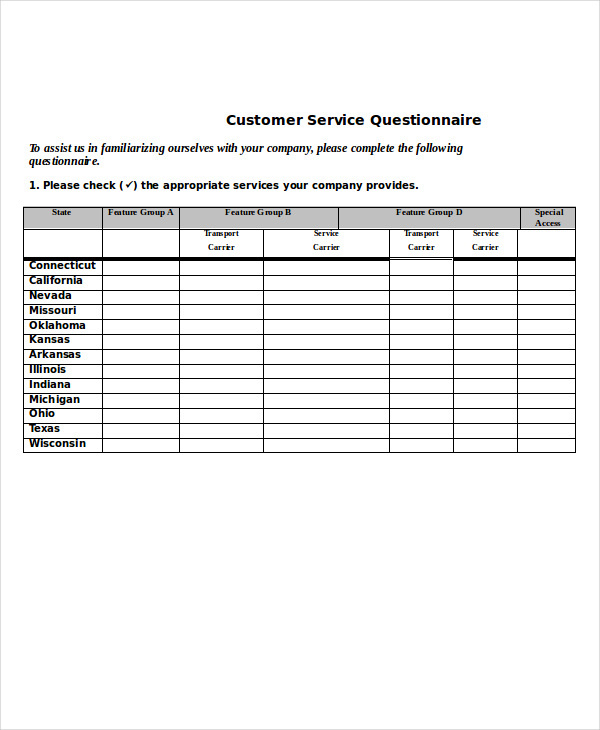 Since questionnaires can be e-mailed instantly, it is easier to collect data from a large group of people quickly. 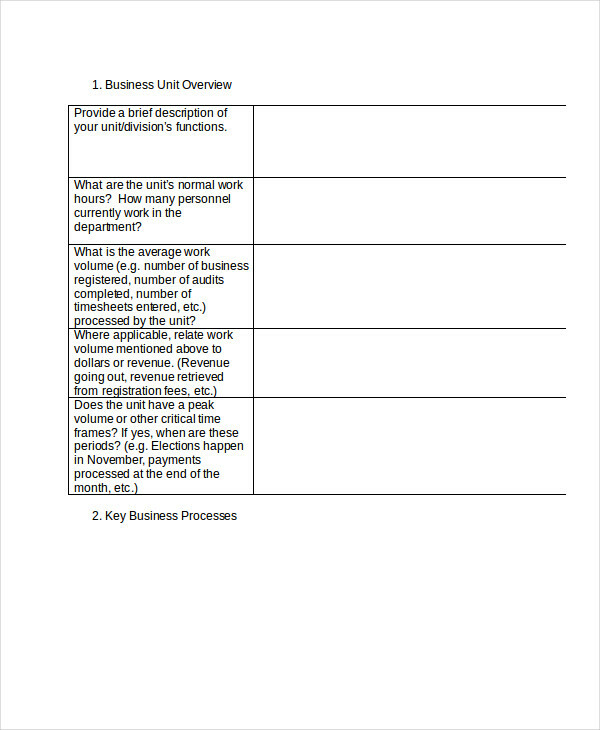 Questionnaire examples in PDF are scientific and objective, and can be analyzed quickly. Questionnaires can cover more than one issue, allowing you to gain more insight than was first intended or expected.